All the supplies that I used for this project were things that I already had. I love a free project! * While the frame is drying make your fabric flowers. * Cut different sized circles of each fabric. Stack the different fabric circles from biggest to smallest. I varied each stack of circles. I made some with tulle, while some only had black and green fabric. Just have fun. Make each flower different. * Fold your stacked circles into a taco, and sew with your needle and thread. 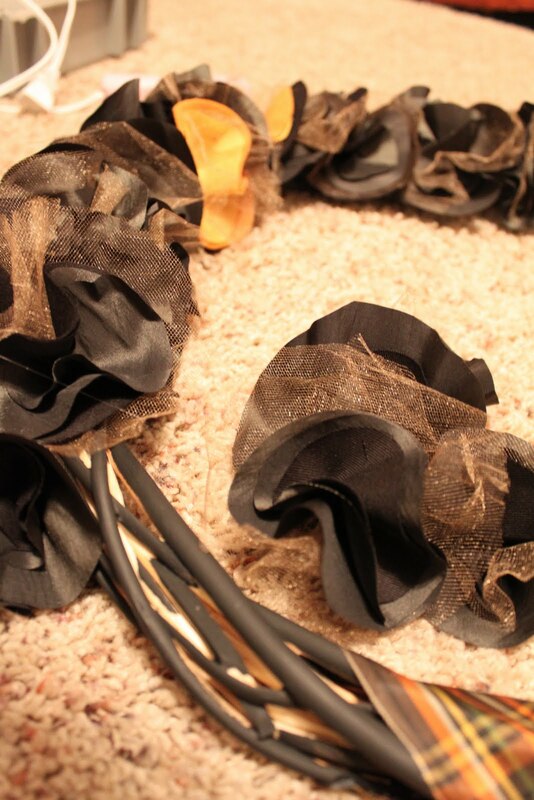 * Now that the circles are secure and sewn, bunch up the fabric a bit, and make it look like a flower. 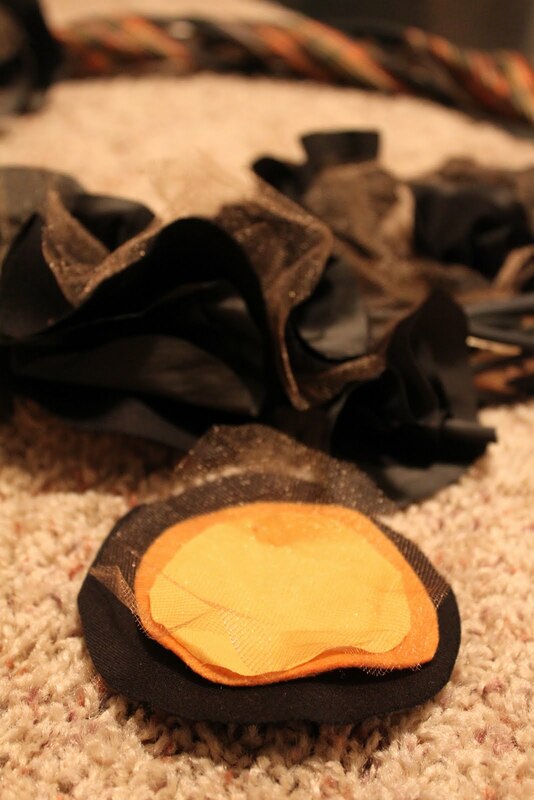 Hold the bottom point tightly and begin sewing the fabric again. * Tie a knot and cut the thread. TaDa... a simple fabric flower. I made a ton of these. Make as many as you like. The more you make the more full your wreath will be of coarse. 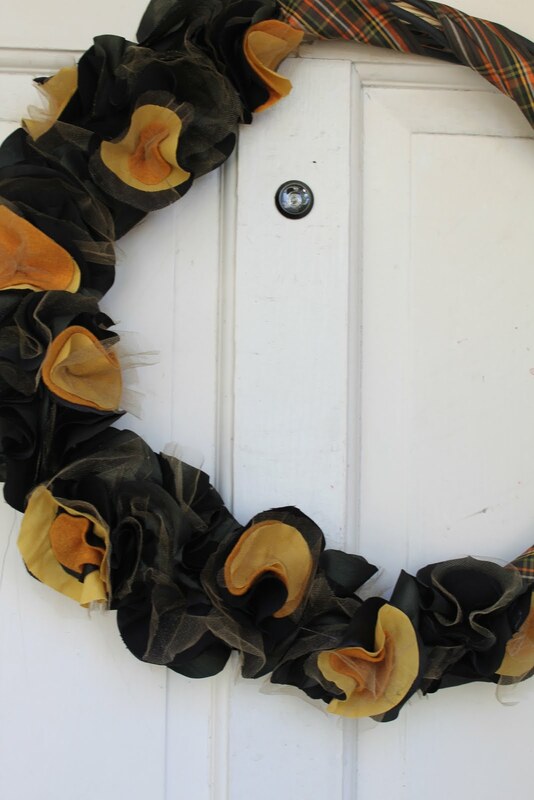 * Hot glue your flowers to the wreath. Twist the ribbon around the wreath and hot glue that to the wreath as well. Don't forget to make a few flowers that are black, gold, and orange to add in. This is so cute! I am definitely going to try this for either Thanksgiving or Christmas! Love it!